San Marco is Venice’s most famous and beautiful square. 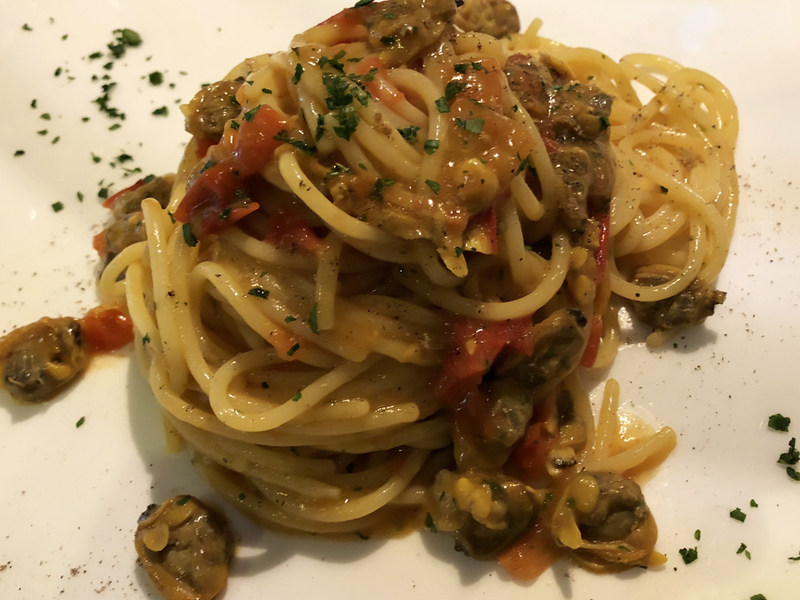 Osteria Enoteca deserves similar amounts of praise, especially compared to dining establishments of the same ilk in the lagunar city. 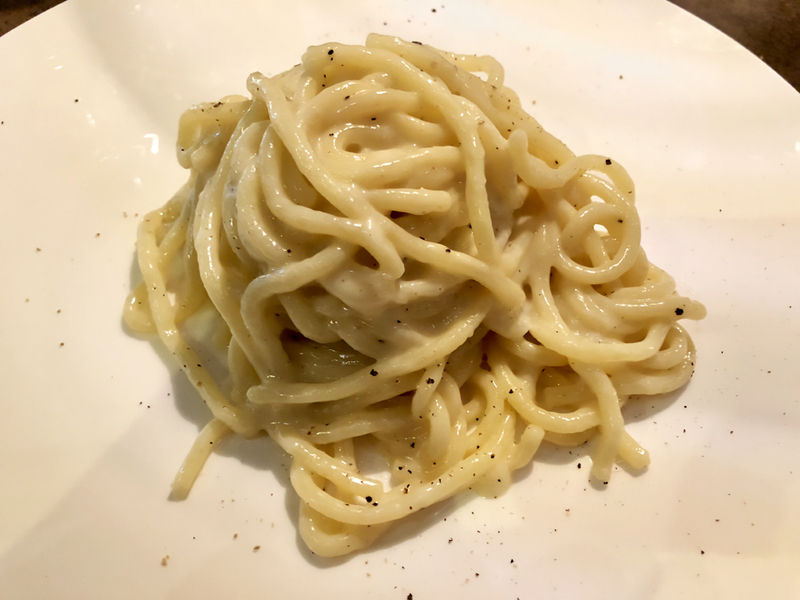 Well-made, non-touristy food, a great wine list and competent service are the ingredients that make Osteria Enoteca well worth a visit. There is no reason whatsoever not to have one great meal after another in Venice. The reputation about this marvelous city being nothing more than a tourist trap is not just wrong but a telling sign of the level of restaurant knowledge of those who expound such views. Simply put, there are too many delightful dining spots to count in Venice. A bevy of exciting younger and older chefs ensure the chances of eating well in Venice are much higher than they are in the likes of other well-known touristy Italian cities. An example of Venice’s dining bounty is the little-known Osteria Enoteca San Marco. As its name implies, the Enoteca is located a stone’s throw away from beautiful Piazza San Marco. 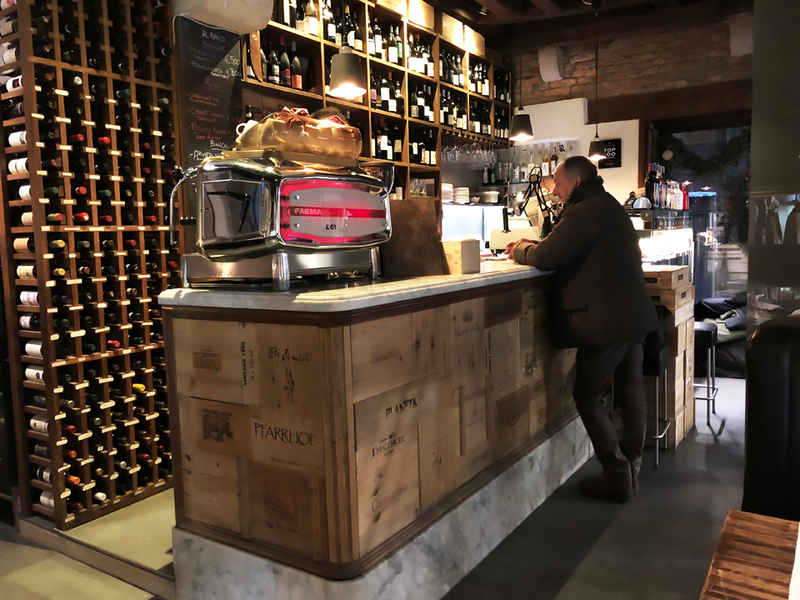 The Osteria is pretty attractive in its own right, with a modernly sleek but warm décor (minimalist chairs and table settings mingle with exposed brick walls), a quiet atmosphere, solid food and an outstanding wine list. 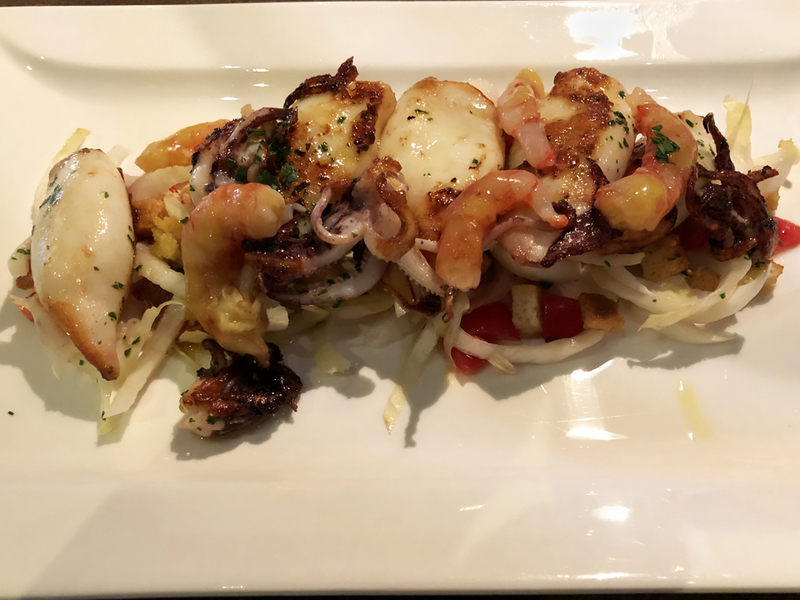 Founded only in 2002 by four friends, Osteria Enoteca is open all day, non-stop from 12.30 to 23.00 making a pit stop for food or a glass of wine easy to do. The menu is built on a series of Venetian staples that are cooked with flair and talent. On this day, my two pasta dishes were especially savory and satisfying, but the whole meal ran like clockwork. Though not the cheapest eating and watering hole you’ll find in Venice, prices are reasonable for the quality of the experience. The success of my lunch was probably also due to the truly outstanding wines that accompanied my meal. 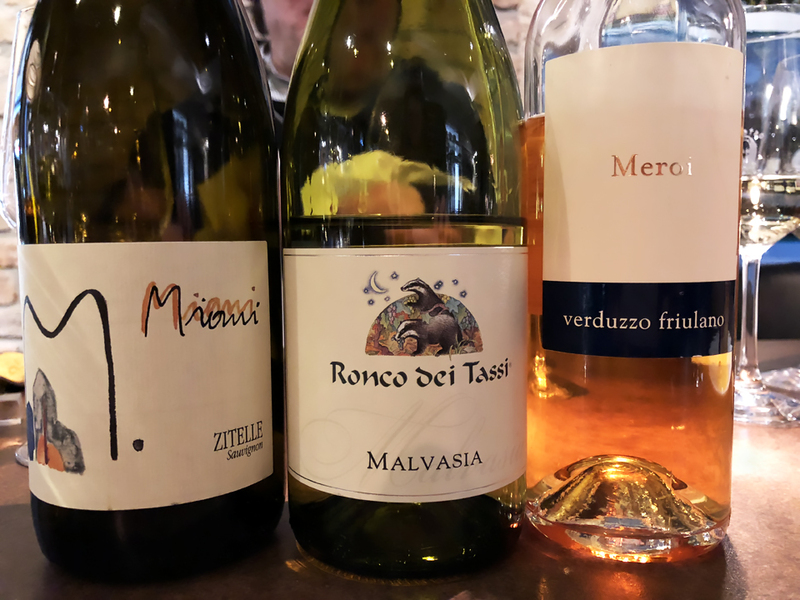 Ronco dei Tassi’s 2016 Malvasia is marvelous, with the estate’s typical level of purity kicked up a further notch or two. The Malvasia is almost always Fabio Coser’s best wine in every vintage; the 2016 only confirms that impression. Pristine white stone fruit and pomaceous orchard fruit notes are complicated by a delicate whisper of aromatic herbs and mineral underpinnings. Quite simply, the 2016 Miani Sauvignon Zitelle might well be the best young white wine I have tried from Italy in the last few years. The level of purity and concentration achieved by Enzo Pontoni in this wine is mind-boggling. As good as the 2016 Miani Sauvignon Saurint is (reviewed briefly in the Vinous Table Le Calandre, December 2017) and in my upcoming Wines of Friuli article) the 2016 Zitelle goes one better. Remarkably deep ripe and pure, it boasts gooseberry, guava, tangerine, grapefruit, sage, marjoram and winter melon aromas and flavors that have a dense, tactile but very juicy mouthfeel, lifted and extended by penetrating but harmonious acidity, with few, if any, of the tropical fruit notes found in Miani’s riper, rounder Saurint). In my experience, only Didier Dagueneau has made Sauvignon Blanc close to this quality level in a recent past. Do whatever you can to snag a bottle of the Zitelle. I thought the Zitelle would be an impossible act to follow, but the wine gods were with me on this day. The 2012 Meroi Verduzzo Friulano is a work of art and is by far the best wine I have ever tried from the ultra-talented, ambitious Davino Meroi. Another wine of remarkable purity, this offers a crystalline delivery of super-sweet papaya, caramel apple, tangerine jelly, marzipan and cinnamon that is unforgettable. It is undoubtedly one of the three or four best Verduzzo Friulano wines I have tasted in thirty years of drinking such wines incessantly (the maternal side of my family is from Friuli, and in my life I have drunk more Picolit and Verduzzo than my liver cares to remember). Most importantly, this specific wine is blessed with a laser beam of acidity that provides both lift and a light on its feet quality that is sometimes lacking in Meroi’s dry wines. It never ceases to amaze me how a great meal can just make your day: I distinctly remember the thrill and surge of energy rippling through me when I stepped out into Venice’s chilly winter air. 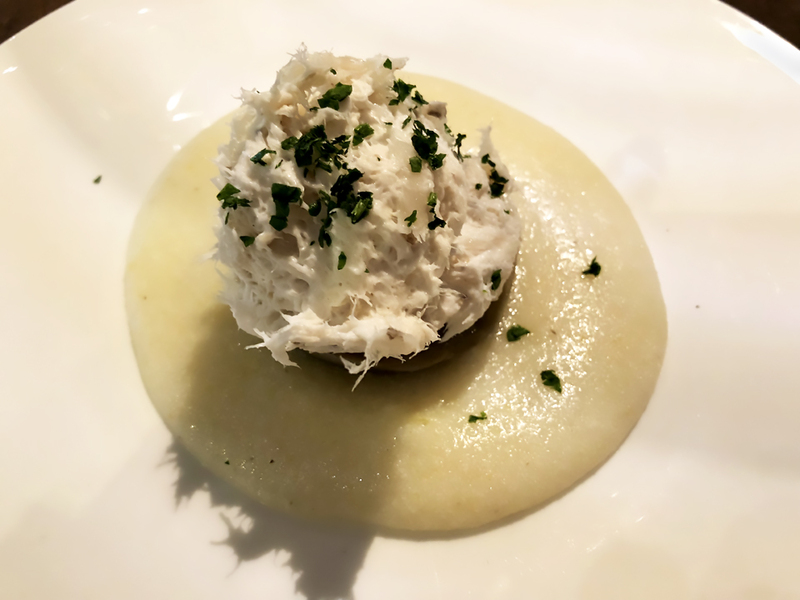 Everything one might desire in a modern bistro, Osteria Enoteca San Marco is a terrific place to come into from the cold, far from the maddening crowds that gather around Venice’s most famous piazza.